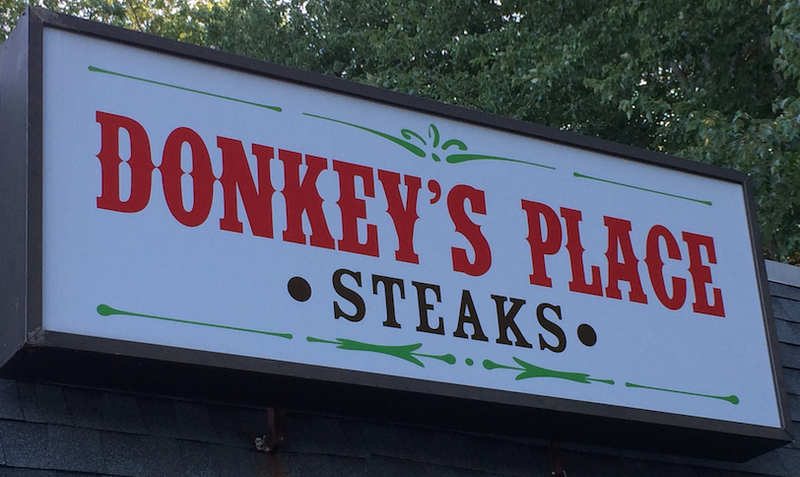 One of the places definitely on my South Jersey Farewell Tour was Donkey's Place. In Florida, it's doubtful I'll be able to get a proper cheesesteak, let alone the best and most unique cheesesteak in South Jersey, so before I move away I had to visit Donkey's again. The Dark Crystal was in from San Francisco, and my GAR! Podcast partner Ray was also down from North Jersey, so, along with The Bride, it was time for another French Fry Diary road trip. Donkey's Place Too in Medford was crowded and hopping the Saturday afternoon we went, barely a place to sit and we briefly discussed finding somewhere outdoorsy to eat our lunch, when a table opened up. We sat in the booth below the huge picture of the legendary Bob Lucas, who ran Donkey's Place in Camden. 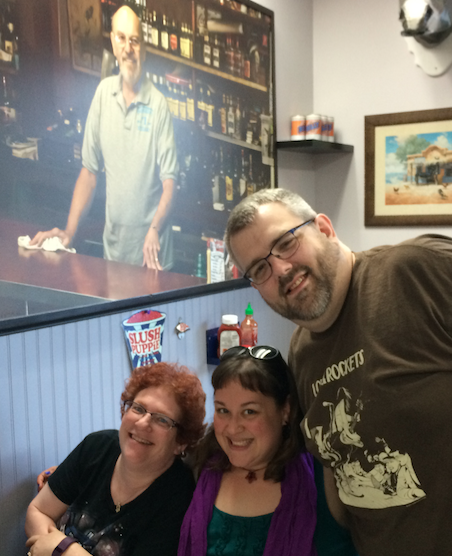 The Bride and I got our regular cheesesteaks with onions and cheddar, and introduced Ray to the same, while Crystal bucked tradition and got a chicken cheesesteak. 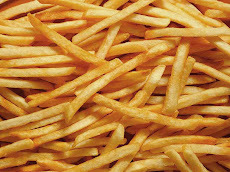 We of course also got fries to share while waiting for our main course to arrive at the table. I've talked about these seasoned regular cuts before. They are always especially good while hot and good with cheese on the side for dipping. The cheesesteak is fantastic, and unlike any other you'll find, and remember, I hipped you all to Donkey's long before Anthony Bourdain ever heard of it. I am really going to miss this place and this food. Donkey's is the best.